Who does the SAA call if she can’t start the meeting? Who can she rely on to help take over? Who knows the role of SAA by heart? Well, Superman of course! 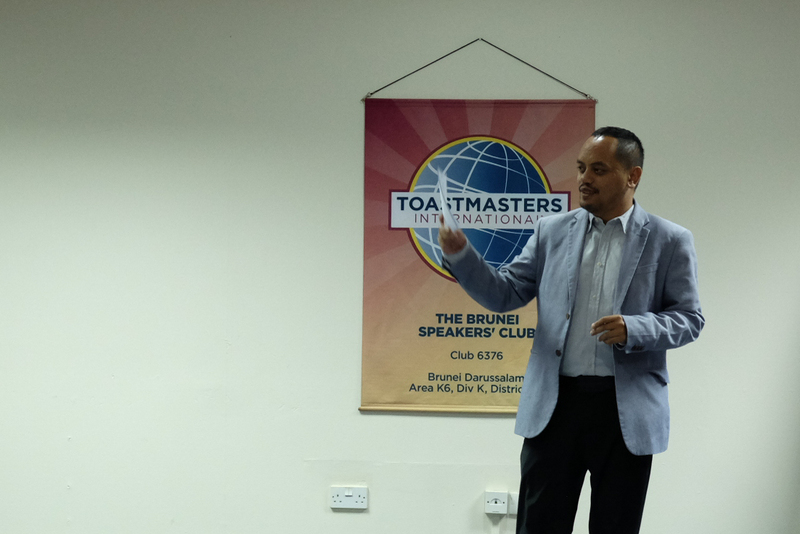 Amran Jamaluddin, CC kicked off the meeting with high energy as he welcomed everyone and had the guests introduce themselves. 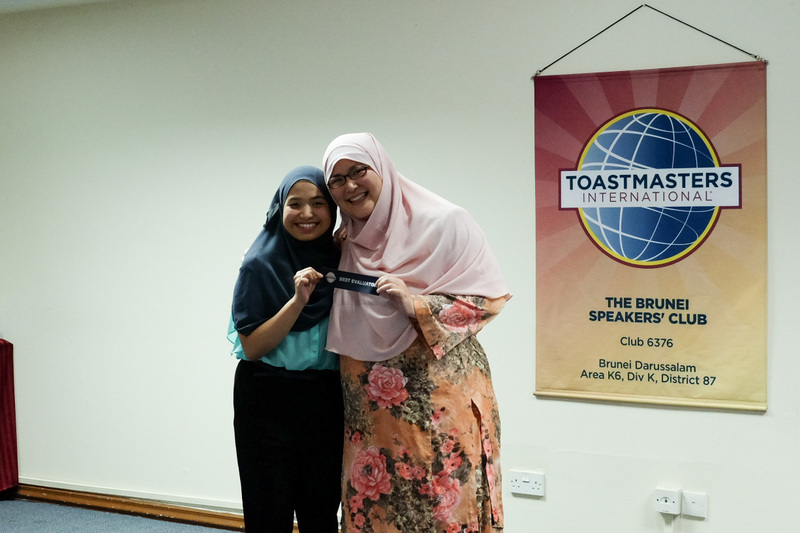 Toastmaster of the Evening, TM Awfa Nawawi thanked Amran for taking over. Thought of the Day – When it comes to life, the critical thing is whether you take things for granted or take them with gratitude. Word of the Day – ‘Scintillating’ (adjective) means sparkling or shining brightly. It also means brilliant, clever or skillful. Tip of the day: Think of the non-essential things you need to do and get them done before the next morning. 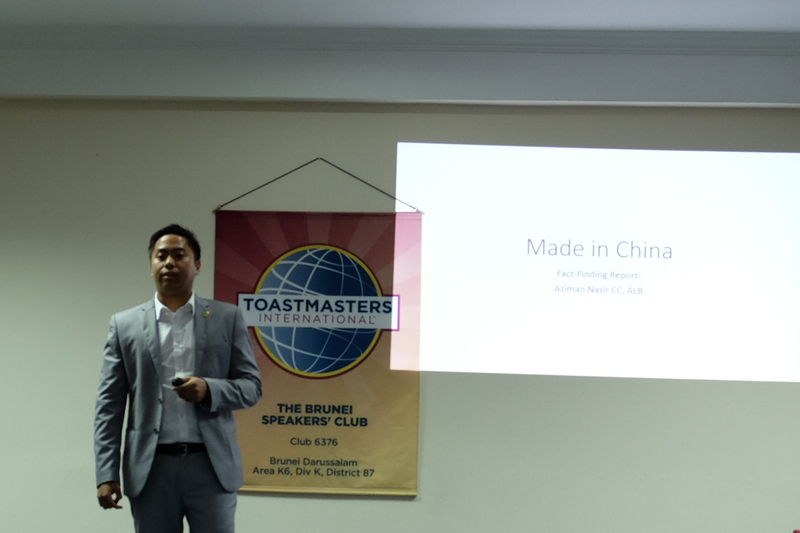 In his opening, TM Nabil stated that Forbes Magazine listed Brunei as the fattest Southeast Asian country in 2016. Ouch! 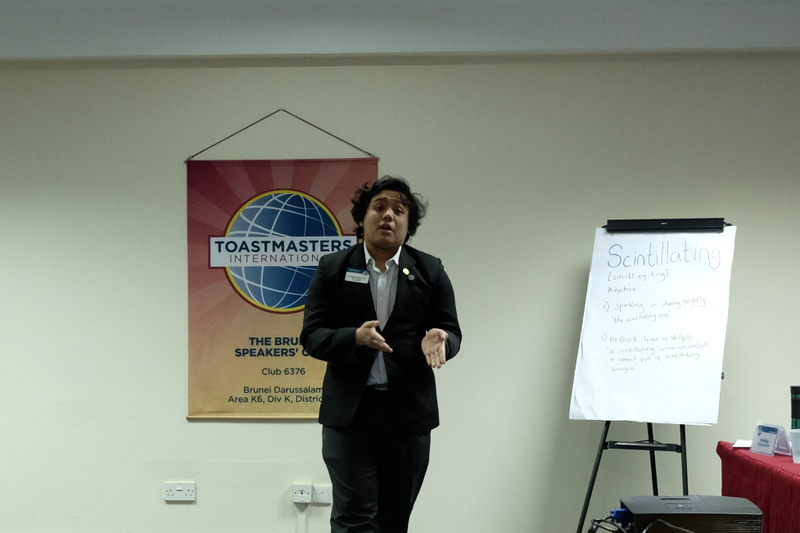 For his CC9, TM Nabil persuaded the audience to choose water over teh tarik or Coke for three reasons. The first reason is cost. If one drinks teh tarik every day, he or she spends $60 a month. If one switches to water, the $60 is enough to pay for a month’s gym membership at JPMC. The cost of a year’s worth of teh tarik is equivalent to $720. That’s enough to pay the membership fees for two people and the remainder is enough for four movie tickets! 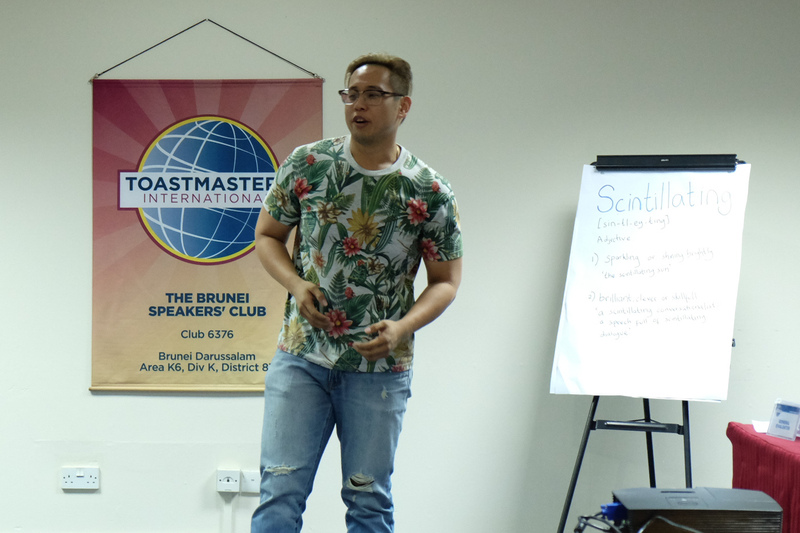 Additionally, TM Nabil argued that we should not consume drinks that contain unknown ingredients. Our drinks might contain harmful toxins. TM Nabil highlighted a food safety scandal in 2008 which led to the death of 9 babies. It was discovered that Chinese manufacturers had added melamine into infant formula. So why should one risk one’s health by consuming drinks that can cause harm? His third reason is that we should ditch the habit of having fizzy drinks in favour of water for the sake of our health. As we age, we become more susceptible to diseases. If we continue consuming sweetened tea and fizzy drinks, we will develop serious health issues and be a burden to our government. 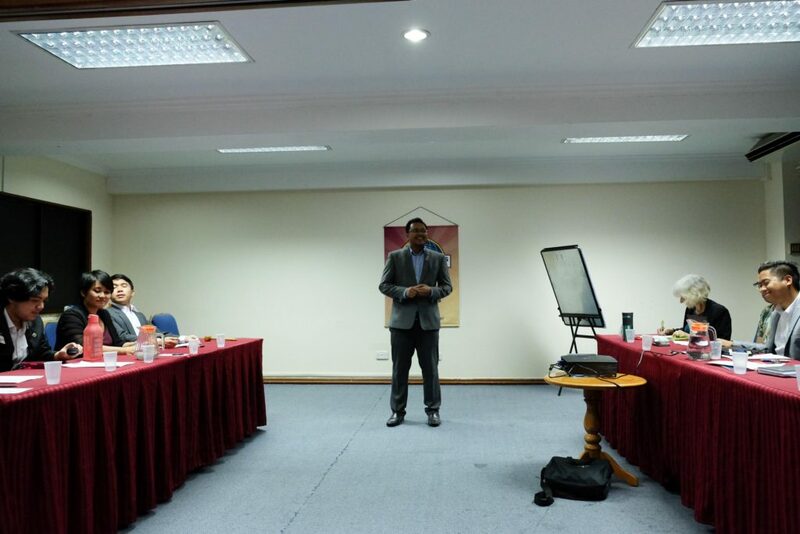 He ended his speech by persuading the audience to choose the healthier option – water. 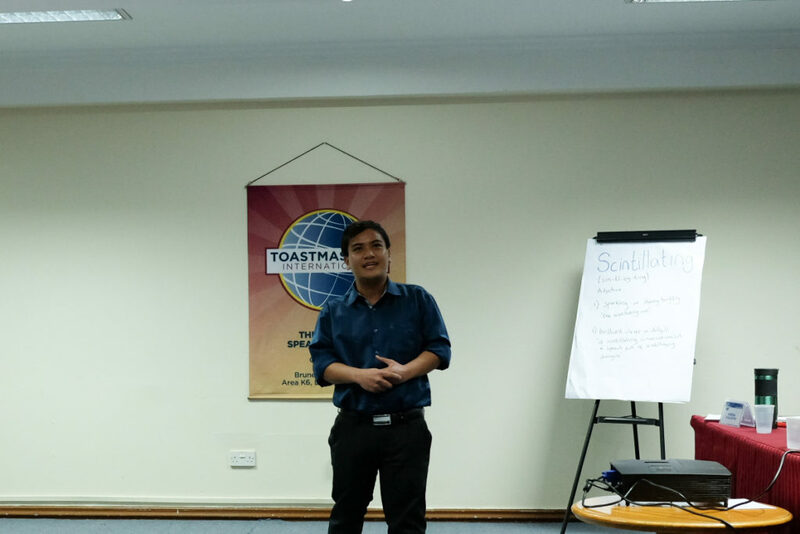 TM Nabil’s ability to change the audience’s perspective by using facts was highlighted by his evaluator. Who knew that a smile has so much power? This contagious habit can impact your job and your love life. Smiling has advantages in the business world too. 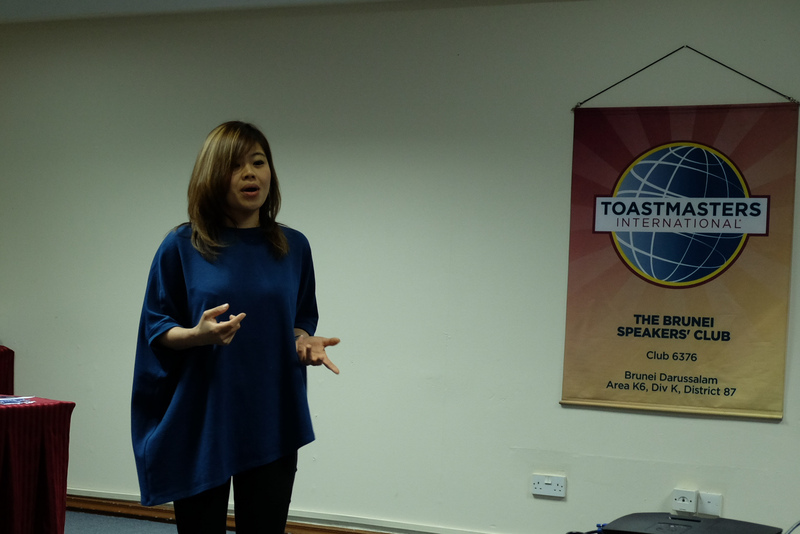 Sandy shared how a smile and eye contact create a good first impression. So if you are at a job interview, don’t forget to flash your pearly whites! By smiling, you send a message that you are trustworthy, reliable and responsible. There is also a connection between smiling and attractiveness. Hence, beaming at someone can also make him or her fall in love with you. Who knew it’s that simple? Sandy added that the power of a smile should never be underestimated. This is because a friendly grin deems you as approachable. For instance, Sandy only approaches smiling bank workers as she would feel that an unfriendly-looking one would not give her the assistance she needs. By smiling, a customer like Sandy was put at ease, resulting in a satisfying customer experience. So who would have a better chance of getting employed – a person with a sad expression or a smiling one that can lead to better business performance? Another reason to show your grin is that we release endorphins when we smile. Studies showed that those who grin more live seven years longer. If you don’t feel like smiling, look around. Sandy bets that you will catch the contagious expression from someone smiling beside you. Her evaluator, Nur Ahmad, CC praised TM Sandy’s use of facts to support her observation and experience. Do you snub merchandise because they are labelled “Made in China”? There is this popular perception that goods made in China are of inferior quality. 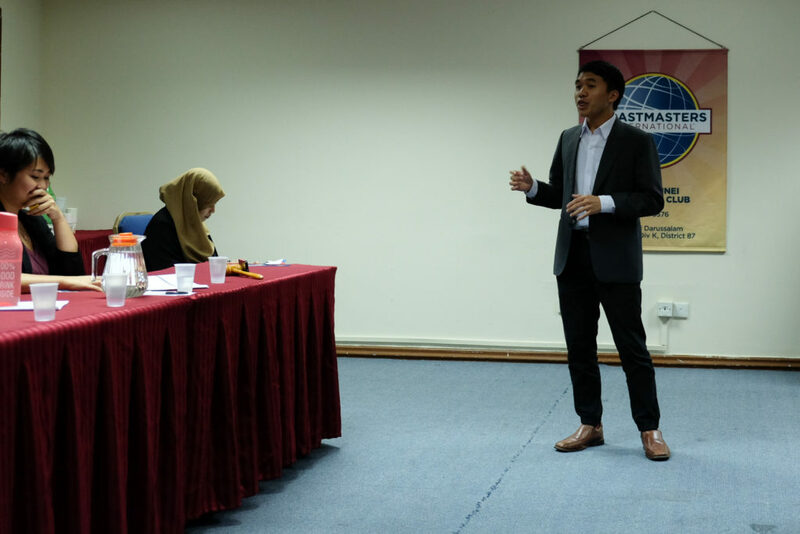 In his ACB4 project, Aziman stated three facts to change our opinion. The first fact is that cheap does not equate to shoddy quality. Products made in China are cheap because it does not take much capital to manufacture in China compared to in other countries. For instance, there is the lower cost of transporting materials used to make a product. He added that two products can look the same but because of branding, one product is priced far more expensive than one with no brand. So would you buy a brand name product when the cheaper one also has the same functions? The second fact is that a majority of the products we buy are actually made in China. We might not be aware of it but the iPhone, for instance, is actually made in China as the country produces 349 iPhone components. The third fact is that “Made in China” products receive positive reviews from customers. Manufacturers value customer satisfaction by strictly adhering to quality standards and also provide great service. 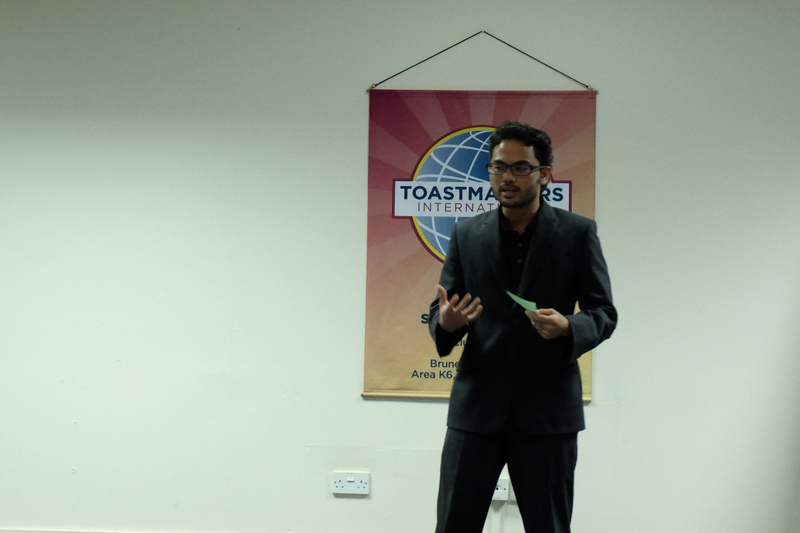 His evaluator highlighted how Aziman’s presentation was organised and how he supported his facts with evidence. “The way to a man’s heart is through his stomach.” Rahul Breh, CC believed that food is not the way to impress men. In fact, Rahul strongly advised men not to be the passive one in a relationship. He urged men to pour their heart out rather than expect a woman make effort to impress. He encouraged the men in the audience to find their way into a woman’s heart and even cook too. Hazwan Kamarulzaman ACB, ALB praised Rahul for reversing the gender roles in a relationship and his appealing speech. “Absence makes the heart grow fonder.” TM Heidi agreed to the statement as she misses her family when she travels. When she is abroad, TM Heidi talks to her family more often than when she is at home. Even though she often has to travel due to work, she noticed that her bond with her family grew stronger. This is because she makes more effort to want to learn more about them. 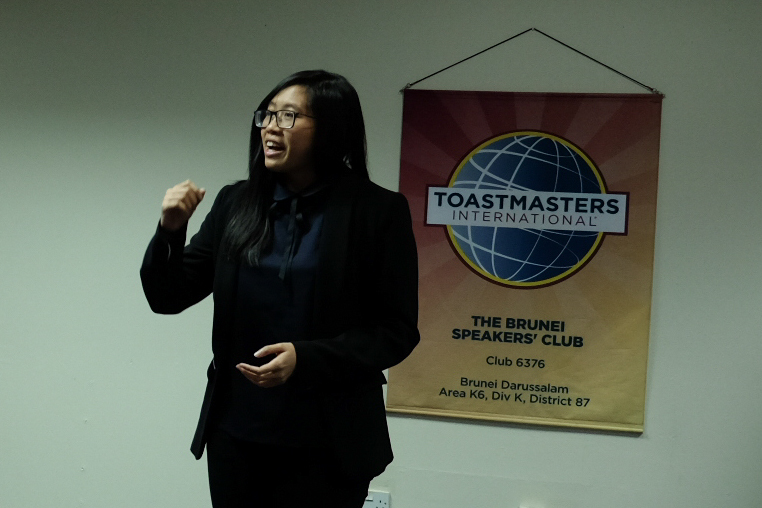 TM Heidi earned praises for her good speech structure. “Beauty is in the eye of the beholder.” Fergus agreed that beauty is subjective and illustrated this by sharing his knowledge on Kinsugi – the Japanese art of repairing broken pottery with gold. If a person does not live up to someone else’s standard of beauty, it doesn’t mean that he or she is not attractive. Fergus’ confidence and stance wowed the audience. “Love is blind.” TM Hazman stated that his love for his family is blind since he is willing to do anything for them. 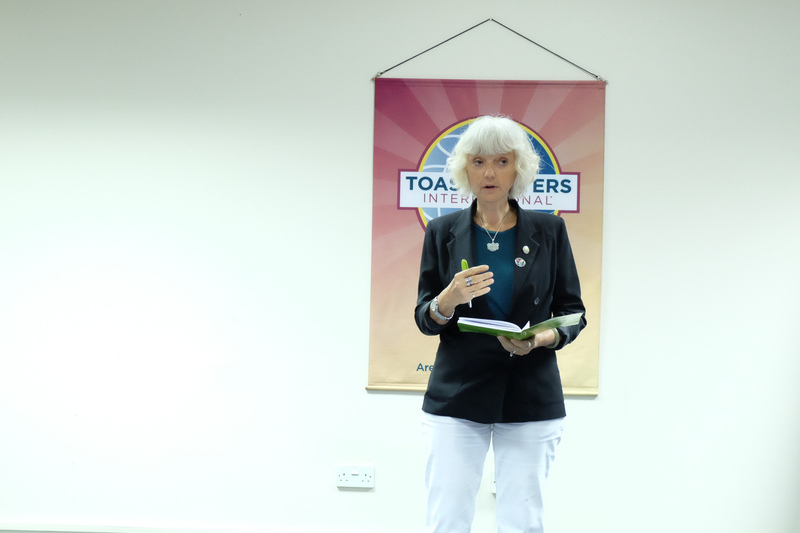 His tale of love – hate relationship had the audience in stitches. 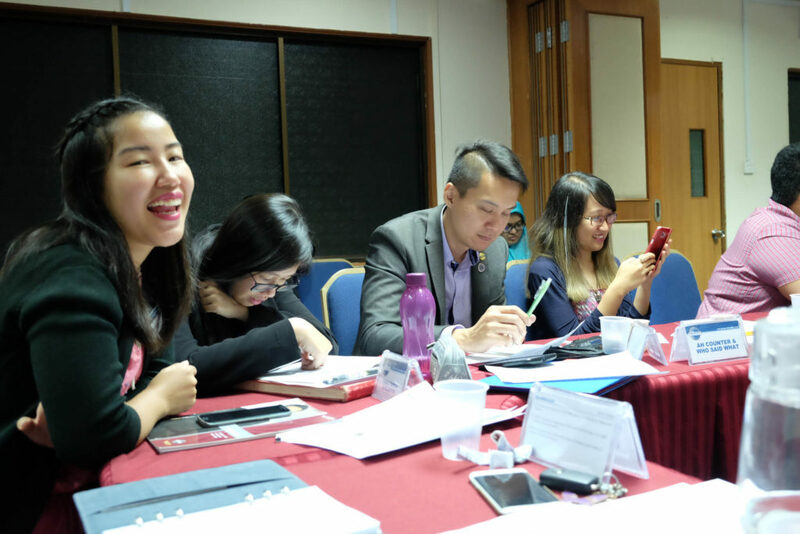 He loved TM Heidi for pushing him to host the recently held ASEAN Regional Workshop. TM Hazman hated her for giving him the task since he still hates public speaking. 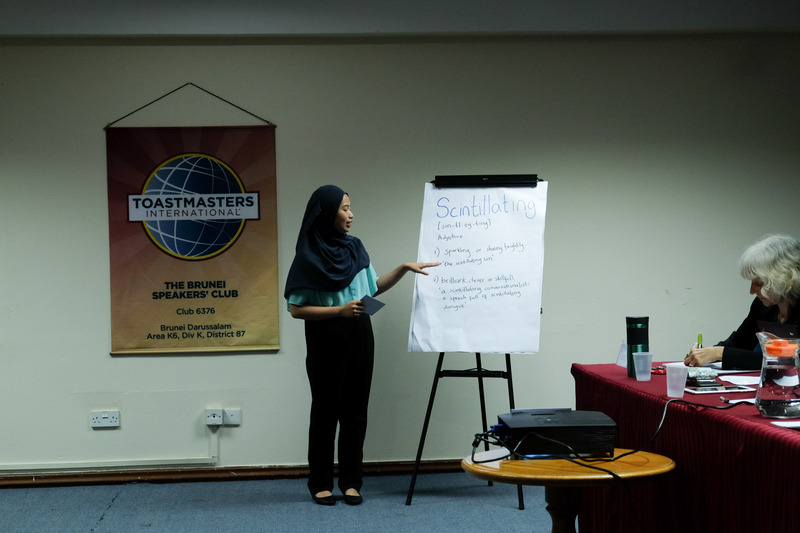 The evaluator praised TM Hazman’s effort and advised him not to doubt himself when speaking. “No man is an island.” Hilman Omar, CC started his speech with an attention-grabbing opening. 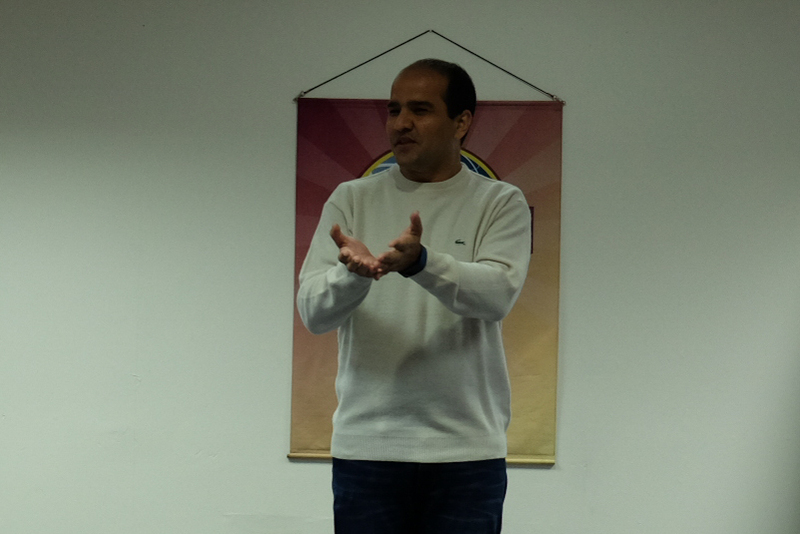 He continued his speech by telling the audience how he hardly talks to others. 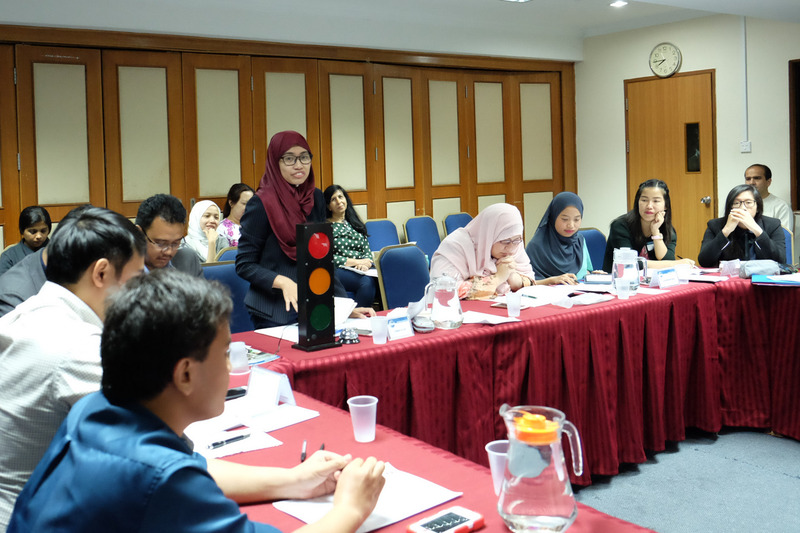 Hilman prefers to keep quiet and also listen to others gossip. However, after a road accident, his perspective changed. Hilman learnt not to just rely on himself. In his evaluation, Hilman was praised for using a scintillating opening that was closely related to his story. 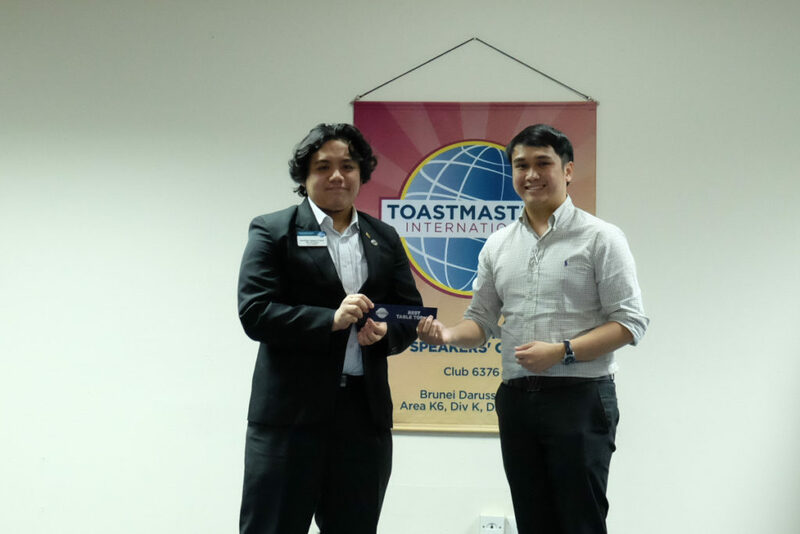 Vice President Membership, Rano Iskandar, CC, CL advised the audience to reach out to members when they need help and support. By doing so, members can grow. He also encouraged members to take up a challenge by joining the upcoming contest.